Something that's been puzzling me for the last couple of years, particularly on the digital modes, is the number of people who address me by name before I've told them. These are not stations I've worked before - KComm will alert me to those. But increasingly often when I reply to a station they will come right back with "Good afternoon, Julian." I've even had people end JT65A contacts with "TU JULIAN 73", despite the fact that the operator's name is not part of the exchange. I'm not egotistical enough to think that half of hamdom know my name because of my blog. I've had people address me as "Mr Julian Moss" which I think is a bit formal for the amateur bands. But it makes me suspect that some database is involved. It would shake my faith in the parsimony of hams to think that 50% - because that's about how often it happens nowadays - have stumped up for a subscription to QRZ. But if they haven't, where do they get the information from? Is there a free callsign lookup database I haven't heard of? And if there is, doesn't the fact that you can access a station's details at the click of a button render somewhat pointless the rest of the QSO? 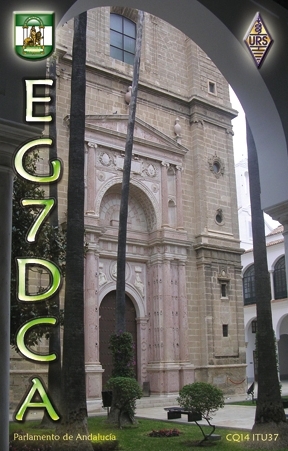 I switched on the radio this afternoon, started up KComm, and the first station that printed up on the screen was EG7DCA, a special call to mark Andalucia Day. A rapid exchange of signal reports and he was in the logbook. 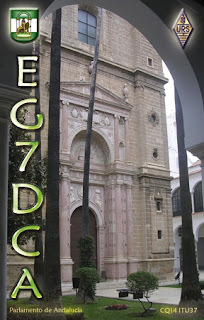 Andalucia Day, as this link will tell you, is the anniversary of a referendum held in 1980 in which people voted for the southern province of Spain, Andalucia, to become an autonomous region. This year that anniversary falls on 26 February, today. I love Andalucia. 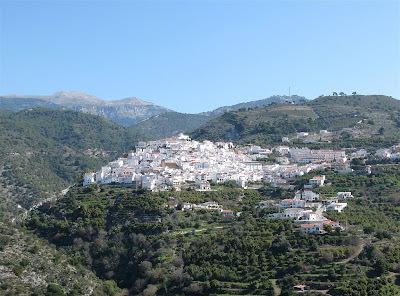 The name immediately conjures up for me a vista of whitewashed villages nestling among rugged mountains, memories of walks on mountain paths and lazy days enjoying a glass or three of local wine in a tapas bar. 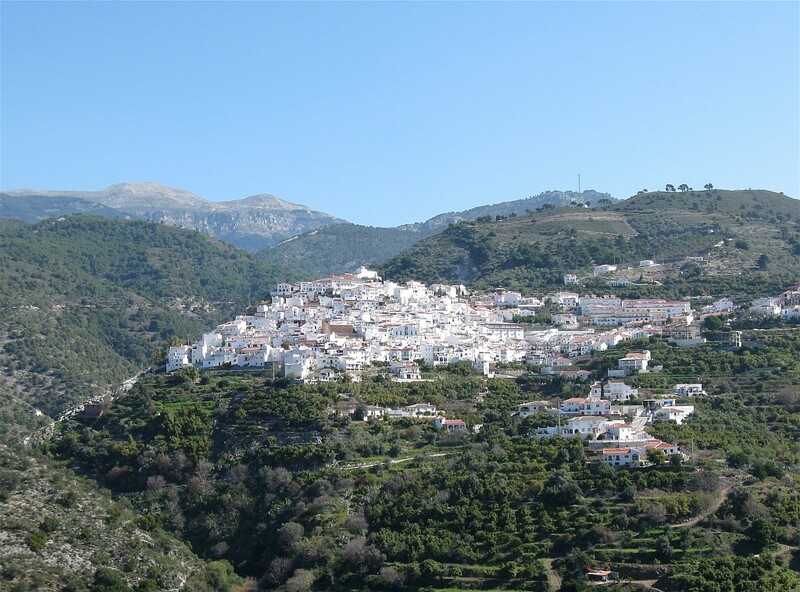 I often used to dream of living in an Andalucian village. I could happily have become one of the many British expats out there. But dreams don't always turn out how you imagine. The endless sunshine seems irresistible but summers can be unbearably hot and as one gets older you start to need things like healthcare, which is good, free and English-speaking in Britain. In view of what has happened to me in the last two years it's probably a good thing I didn't become an expat! Still, I can't look at a picture like this without feeling nostalgic! 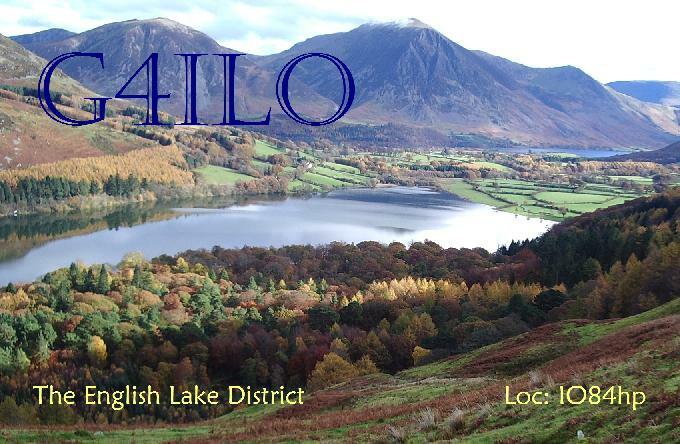 I have just sent a new batch of QSLs via GlobalQSL for printing and distributing via the bureau. I like the Global QSL service. It takes away the chore of sending QSL cards and reduces the work to a simple log export to ADIF file. I had to purchase 1000 new card credits before I could upload them. Today's batch, from last summer until now, was over 400 contacts on 398 cards. That's excluding local FM QSOs and contest contacts. I didn't realize I was so active on the air. At that rate I'll be ordering another batch before the year is out! Fifteen metres was again in good shape today. The contacts I made included the prettiest ham I've yet worked, and the station with the longest call I've ever logged. Call me a male chauvinist if you like, but whenever I work a YL (young lady) on the bands I can't resist looking to see if I can find a picture of her. I worked Natali from Moscow on PSK31 this afternoon and she must be the prettiest ham radio operator I've worked in my long career. She keeps a pretty neat shack, too. The prize for the longest callsign ever logged goes to YO2013EYOWF which is the official call of the European Youth Olympic Winter Festival 2013 in Brasov, Romania. I pity anyone having to send that in CW! I don't have any pictures of the YO2013EYOWF operators but they do have a very pretty logo which I expect will be on their QSL. In the last couple of weeks I have received two eQSLs for contacts that never happened. The QSLs were from made-up callsigns that are clearly SWLs, e.g. 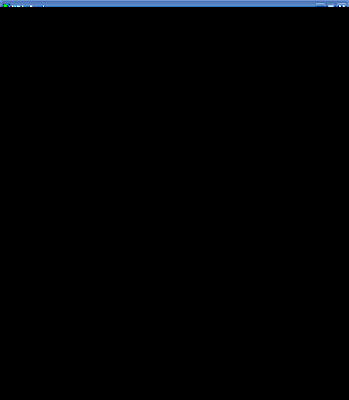 UA-123456. But the message with the card says simply: TNX For QSO TU 73! Curiously, both QSLs contained exactly the same wording. Now I have nothing against SWLs. 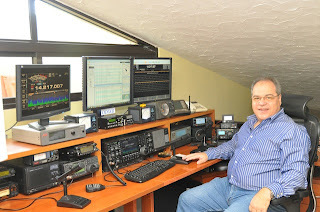 I started in this hobby as a broadcast SWL and I feel that all hams should have had experience as an SWL to get familiar with procedures, propagation and so on. But I am uncomfortable with receiving eQSLs from listeners as the eQSL system has no way to distinguish a listener report from an actual contact so their presence messes up my totals. In practice it isn't a big mess-up as I have never received an SWL card from a country I haven't had a proper QSO with. So I do accept eQSLs that make it clear they are for reception of a contact I made. But TNX FOR QSO? Who do they think they are kidding, and what do they hope to gain from it? There is still a few hours of the ARRL DX CW contest to go but I have worked all that I want to work this weekend. I only took part for fun, so no targets to beat. I did hope to work some of the rarer west coast states but conditions didn't allow it. I only worked W/VE stations - in fact I only worked US stations, the VEs were conspicuous by their absence. I did hear one VE but I never managed to work him. So in comparison to other contests my haul of contacts was worse than normal. I operated for a couple of hours late Saturday morning, and the same again after lunch. On Sunday morning I did another couple of hours but I almost gave up as I seemed to be hearing all the same stations I worked on Saturday. Then the jinx left and I managed to log another batch of new stations. But by Sunday afternoon I'd had enough, and it was a fine late winter day so I went for a walk by the river with Olga. I think conditions this weekend were below average. Ten metres was all but dead; 15m was quite productive but the money band as usual was 20m. I didn't try the lower bands as I think my attic antennas are too much of a compromise on those bands to work DX with them. My total of 55 stations worked is nothing to write home about, but remember I was only working US stations - I ignored all the Europeans and Russians whom I would have worked in a normal contest. I worked 20 different states: CT, FL, GA, IL, MA, MD, MN, NC, NH, NJ, NY, OH, PA, RI, SC, TN, TX, VA, VT and WI. So my 100W was barely making it past the east coast. If anyone is interested in my full log the contest starts on this page. Working in a contest is always fun. It's not the winning, it's the taking part that counts! Due to the health issues of the developer Joe Large W6CQZ it has been some time since there was a new version of the popular JT65-HF application. So I was interested to receive an email from Erwin, DK5EW, telling me about an enhanced version of JT65-HF made by Matthias DL3VCO called JT65-HF-Comfort. I have not spent much time with JT65-HF-Comfort as my interest at the moment is directed towards the new JT9 mode, but you can see from the screenshot that one of the improvements DL3VCO has made is to display the callsign above each trace on the waterfall. He has also added a new Statistics menu which displays the number of contacts you have made per DXCC entity per band. I couldn't show you that as I use KComm for logging so my log is not in a format that JT65-HF-Comfort can read. You can find a Google-translated version of the JT65-HF-Comfort information here. If you are interested in trying JT65-HF-Comfort then you can download a setup program (a modified version of W6CQZ's installer) to install the updated version. I shall certainly try using it the next time I do some JT65A operation. PC4T Paul's blog post about working Tasmania with 5 watts gave me the spur to try the new JT9-1 mode, so I installed the WSJT-X software. The user interface is quite a bit different to the older WSJT programs but most of the same controls are there. I never really figured out how to use WSJT, much preferring the simpler interface of Joe W6CQZ's JT65-HF application. My experience with JT65-HF stood me in good stead as I was familiar with the sequence of exchanges, but I missed the JT65-HF user interface, its ability to decode all the signals in a swath of spectrum, and the alerts and built-in logging of it's companion JT-Alert application. My first QSO, also using 5 watts, was with SM5CS - not as impressive as Tasmania but sufficient to satisfy myself that I knew how to drive the program. I'm puzzled by the panoramic display though: the two peaks of the spectrum analyzer display don't match up with the two traces shown on the waterfall. I made the changes to KComm to allow me to log this new mode. I seem to have an increasing number of modes that I can log but not upload to eQSL.cc because the ADIF specification doesn't yet include them, though JT9 is already there. I see that the ARRL DX CW contest is next weekend. 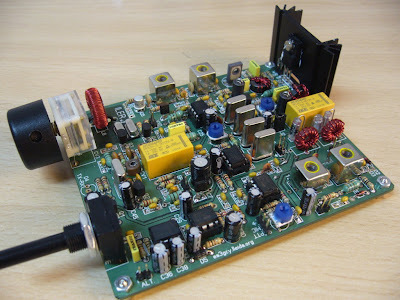 I haven't decided yet whether I will come on and give away a few points, nor whether I will operate QRP or run 100 watts. I think it will depend on propagation. One thing I am unsure about is what exchange to send. I believe DX stations - which means me in this context - are supposed to send RST and power. If I'm running QRP (5 watts) do I send "5NN 5" or "5NN 005" or even "5NN TT5"? If I'm running 100 watts would I send "5NN 100" or "5NN 1TT" or even "5NN ATT"? These short form numbers confuse me a bit. I've heard 1 being sent as A, and 0 (zero) being sent as the letter "O". Or at least, I think I have. If I change the power as I normally do and run 100W only when it is needed do I send the actual power I am using or stick to the same exchange (100W) throughout the contest? Do I work only US stations or will all stations, even Europeans, benefit from working me with a point? Yesterday I wanted to experiment with using a ferrite rod antenna for WSPR. I was using my AA-200 antenna analyzer to try to tune the antenna when it suddenly restarted. I switched it off and on again and as soon as I chose any function the analyzer restarted again. The last time I used the AA-200 I remember the batteries ran out so I charged it. It appears that after 6 years of use the rechargeable battery pack won't hold a charge. I'm useless at taking things apart but Olga managed to open the battery pack to reveal a shrink wrapped pack of 4 AA cells. I could have ordered a replacement from Strikalite but their price was £20. I found an Ebay seller in Hong Kong whose price was a quarter of that. So for the sake of a few days wait I could save myself £15. I ordered the battery pack, but this morning there were two emails in my inbox saying "We are sorry to tell you that we are not allowed to dispatch batteries recently for the customs are very strict on exporting batteries." Is this something new? It's the first I have heard of it. 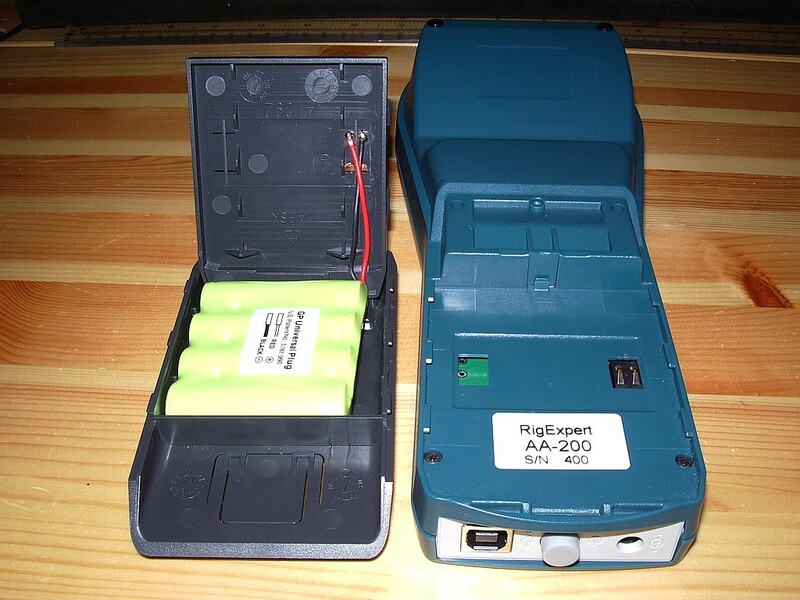 I've certainly bought battery packs (including batteries for handheld transceivers)from China on Ebay before. The seller has refunded my money (or at least he has said he will.) In the meantime I found a UK seller of Chinese batteries, Vapextech UK, which, while not as cheap as the Hong Kong seller, is still a third of the price of Strikalite. Having said that, Strikalite is still a good firm to go to if you want to refurbish a ham radio battery pack and like me you are useless at taking battery packs apart. Just as I was finishing writing my previous post I heard someone else calling on the 20m DV frequency. It was Elie, OD5KU. Yesterday I had heard him working a French and then a Dutch station but signals were weak and not good copy at all. I replied to Elie but he couldn't make out my call. I tried several times and was about to give up when he called again with solid copy. Perhaps he had turned his beam my way. I tried calling one more time. This time he heard my reply and we had a good QSO with several periods of solid copy punctuated by occasional break-ups. 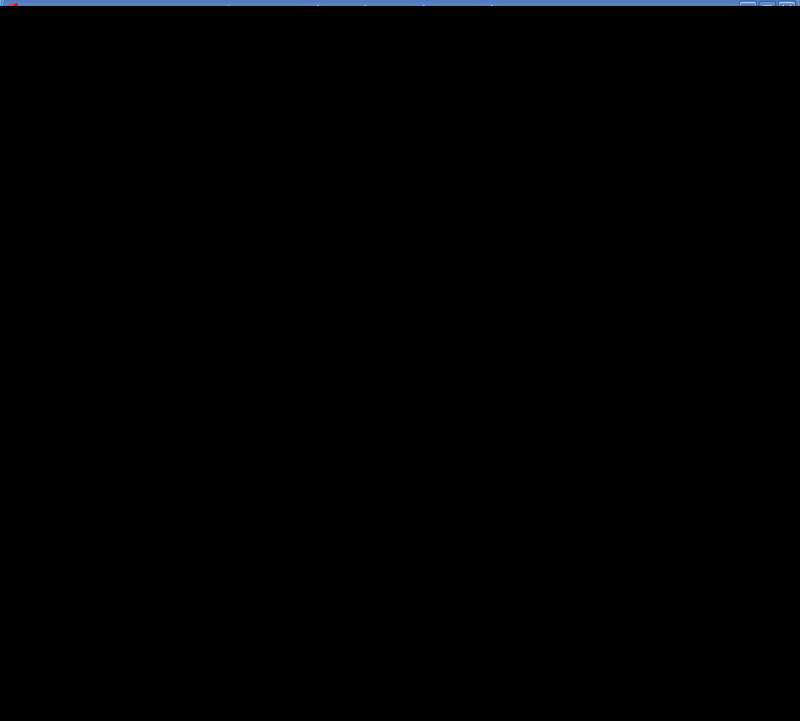 These occurred when QSB took the digital signal down to near-invisibility in the FreeDV waterfall. I doubt that good SSB copy would have been possible at those times either. I managed to make a recording of the end of this QSO so you can get an idea of the audio quality. It was recorded off-air using my Olympus digital voice recorder, then played back using the mic input of the USB sound dongle to make an MP3 file. 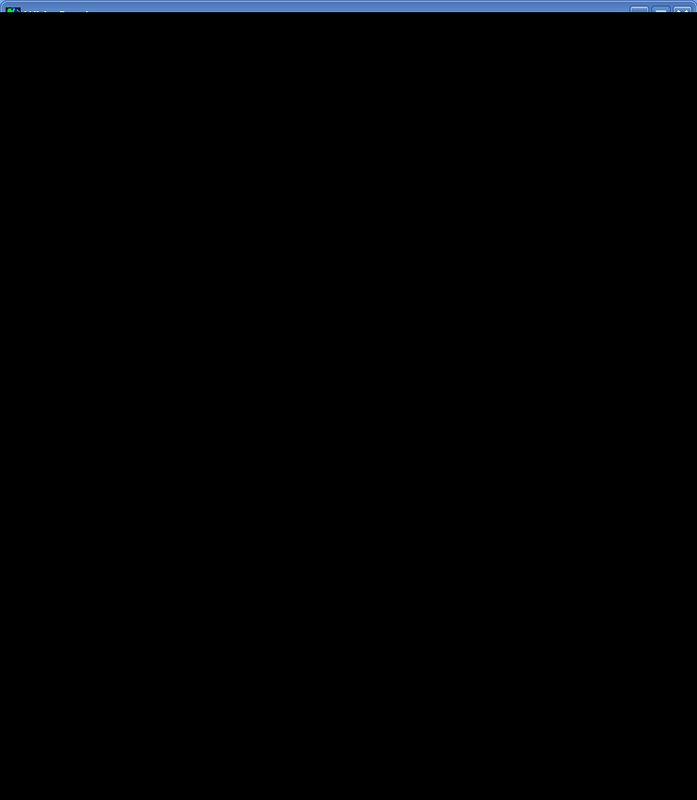 Given the way it was created I think the clip is quite a good example of the FreeDV audio quality. 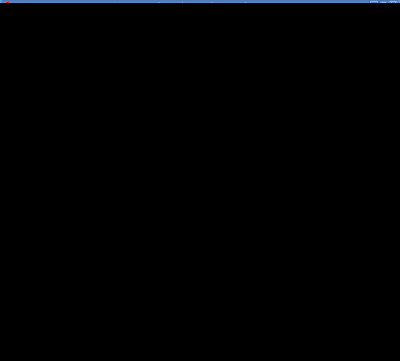 As you'd expect from a digital signal either it's all there or you just get gobbledygook. It doesn't degrade gracefully. Is this the future of ham radio? Have a listen and let me know what you think. I spent all of Saturday monitoring the FreeDV suggested frequencies but so far I haven't heard a thing. I am really surprised. Whenever a new data mode is announced the main problem is usually QRM as too many people pile eagerly on to the recommended frequencies. FreeDV is a development that is potentially as revolutionary for the hobby as the advent of SSB in the 1960s. I would have thought that more hams would want to be in at the start, especially as there is no cost apart from the time taken downloading the software. Perhaps people just don't know where to go. Since my last post I have discovered the FreeDV QSO Finder. This is a tool to enable potential users of FreeDV to find out where others are. Suggested frequencies are: 14.236, 7.190 and 5.4035, though I've seen people using other frequencies. This weekend's contest will probably put the kibosh on attempts to set up contacts for now, but I hope for better luck next week when the bands are quieter. I was going to title this post "D-Star's nemesis" but I thought that would be too provocative and premature! But the much talked-about Codec2 open source voice codec has just surfaced in usable form, in the shape of an easy to use bit of software called FreeDV. If you're set up to run digital modes on HF then you're half way there already. FreeDV uses the same sound card as your digimode software and the same audio levels. As with PSK31 you just need to make sure you aren't driving the transmitter into ALC. You'll need a second sound card for the receive and transmit audio. Assuming that you aren't using one sound card for both digimodes and computer sound, this will be the one you use for Windows noises. On my shack PC that's one of those el cheapo eBay USB sound card dongles. You'll also need a microphone or a computer headset. There's no VOX (perhaps that will come in a later version of FreeDV) so you have to click a button to toggle PTT. Before you can do that you need to set up PTT using a com port. In my case the same serial port used for CAT control and updating the firmware of my K3 was used. The rig went straight into transmit until I ticked the RTS +V check box. The main challenge is finding other people who are using FreeDV. At the moment the frequency 14.236MHz on 20m seems to be the only calling frequency. It would be nice to have some centres of activity on other bands, but no doubt that will come in due course. There's a Digital Voice Google Group which will probably become the meeting place for FreeDV users. 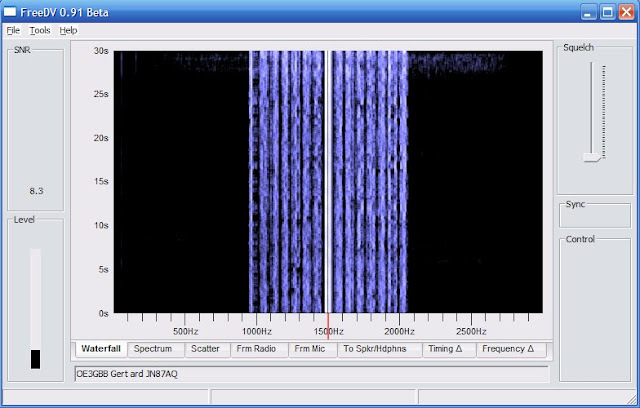 A FreeDV transmission is 1.1kHz wide, less than half of the bandwidth of an SSB signal. The audio is best described as telephone quality. It's a bit boxy, but there is an equalizer called "Filter" in the software that can be used to brighten up both the transmit and receive audio. A nice feature of the software is a button that lets you instantly switch between analogue and digital so you can easily make comparisons. I wish I could include a clip of the audio recorded off air but I couldn't figure out how to do it. Right now I'm sitting on 14.236MHz waiting for someone else to come on the frequency. Hopefully as the word gets out more people will get on the air with FreeDV and contacts will be easier to come by.